The ever-popular UTA Night at the Rangers is back when the Texas Rangers take on the Tampa Bay Rays at Globe Life Park. 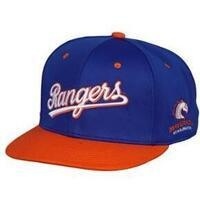 The first 1,750 UTA fans to purchase their game ticket through the Rangers website will receive a special UTA-themed Rangers baseball hat. Alumni can purchase game tickets or picnic tickets. Students, faculty, and staff can purchase game tickets at utatickets.com.